Tofu has been such a plant-based staple for decades (not to mention the millennia in which it played a starring role in Asian cuisines) that it’s easy to forget that there are still plenty of newbies discovering it all the time. That alone merits this primer, though even for tofu aficionados, fresh inspiration is always welcome. Tofu is rich in easily digestible protein, low in calories and fat, and is a good source of calcium, iron, and B vitamins. To allay a common concern, most commercial tofu is made from organic soybeans, and is thereby non-GMO. 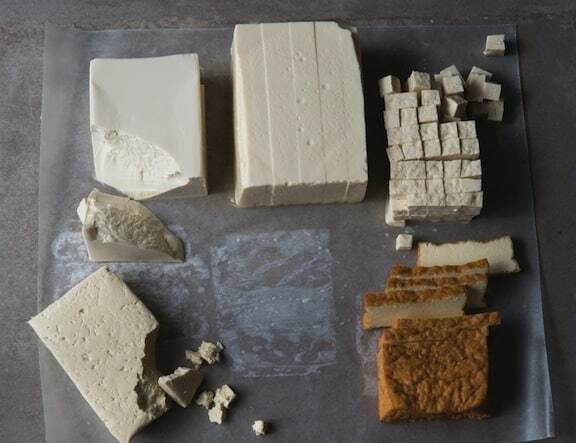 The very characteristics that can make tofu perplexing — its blandness, and in some cases mushiness, can be among its greatest assets. Here are some of the common varieties and some of their best uses. Silken tofu: Available in tubs or aseptic packages, this type of tofu is quite soft and very smooth. It’s ideal to puree and use as a base for soups, dressings, and dips, and sauces. It also makes an excellent dessert pudding or pie filling. Soft tofu: This variety comes in water-packed tubs and is good for crumbling, such as in scrambles, egg-like eggless salads, or patties. Similarly, it can replace ricotta cheese in lasagna or stuffed shells. Like silken tofu, soft tofu can also be pureed and used as a soup or sauce base, with a somewhat heftier consistency. Firm or extra-firm tofu: Also available in water-packed tubs, use one of these varieties when you want tofu to hold its shape in a dish. Firm tofu can go both ways — it crumbles well for scrambles or eggless salad much like soft tofu; but well blotted or pressed, it can crisp up or hold its shape like extra-firm. 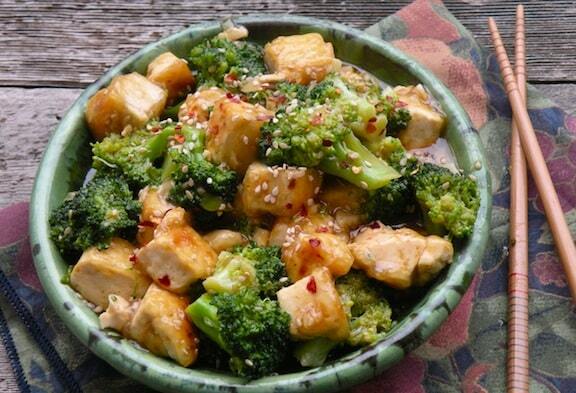 Extra-firm tofu is used to best advantage in Asian-style stir fries and stews, as well as made into cutlets or nuggets. Using a tofu press like the EZ Tofu Press or Tofu XPress is an easy way to get the water out of these varieties of tofu. Super-firm tofu: This variety of tofu is quite dense, and with a texture that’s on the drier side, so doesn’t need much blotting or pressing, if at all. It’s an especially good stand-in for feta cheese, or for ricotta, when finely crumbled and moistened with a little non-dairy milk. Crumbled into stews, it absorbs flavors and adds texture. Augmented tofu: This variety of tofu can is often made from sprouted soybeans and/or in some way enriched with extra nutrients. It’s somewhat higher in protein, vitamins, and minerals than the usual varieties and is available in firm, extra-firm, or super-firm varieties. Baked (marinated) tofu: Look for this chewy, dense, and flavorful form of tofu in natural foods stores. It comes in a variety of flavors such as teriyaki, Caribbean, smoked, and more, and is ready to use straight from the package. It can be used in hot dishes including stir fries, casseroles, and tortilla dishes (such as fajitas) or in cold fare like sandwiches and salads. This might just be the kind to win over tofu skeptics.